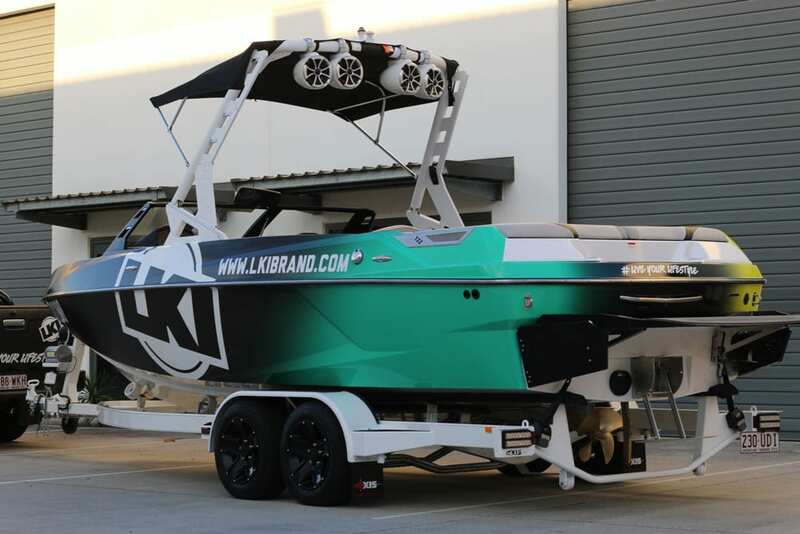 Boat Wraps Gold Coast – The effects of the wind, water and the sun provide boat wrapping challenges that are quite different to conventional vehicle wrapping. You need excellent high quality vinyl media and professional installation expertise to counter the effects of fresh and salt water as well as the negative effects that extended periods in the sun can have on the wrap installation. 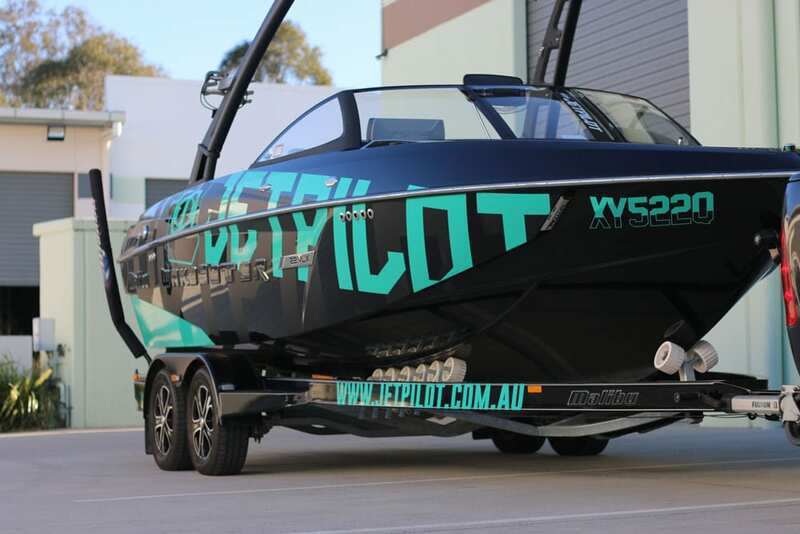 Five Three Design is a dedicated specialist service provider offering high quality boat wrap design and installation to Yatala, South Brisbane and the Gold Coast. Call today for our best Boat Wrap Price. Experience and the right expertise are vital for a successful and professional vehicle wrap, this is even more true when it comes to installing a boat wrap. The boat wrap design itself requires a certain amount of consideration to promote flow with the curvature of the boat. At Five Three Designs we favour 3M and Avery Dennison media as these offer a superior quality result finish. Wrapping is a much more cost effective boat branding option when compared to painting. Another great advantage to boat wrapping is that it can be done in good time, taking just a day or two, depending on requirements. Boat owners love the fact that it takes very little to maintain wraps. Scratches and dents can be quickly and easily repaired with a patch. Cleaning requires water and soap, no buffing or polishing needed. Wraps can be safely removed without fear of damaging your boat’s value should you decide to resell it. In fact wraps protect the underlying paint work, keeping it ‘original’. We use only the best quality materials from a reputable manufacturer to ensure that there are no chemicals or solvents that would be harmful to marine life. Using a reputable service provider and installer for your boat wrapping needs will ensure you receive the best quality service available and the highest level in workmanship. Five Three Designs is a dedicated specialist in designing and installing exclusive and visually appealing boat wraps. We also offer expertise in a range of other business branding services such fleet and Vehicle Wraps, Wall Wraps for your home or business, as Signage and professional business printing. Five Three Designs services the Gold Coast to Brisbane and is located in Yatala.